The North American Warhorse of Dunmore Pennsylvania was the location for Round 8 of the Atlantic Grand Prix. The Warhorse, as many riders have nicknamed it, is known for its Challenging rock sections, cooling creek crossings, and fast trails. 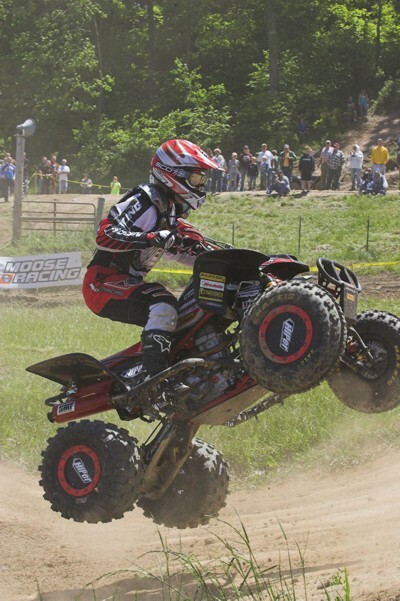 Doug Gust pulls podium finish at Loretta's ATV Race. Loretta Lynn's is known for high humidity and high temperatures. This year's ATV event however was fairly mild with temperatures in the 80's and 90's for most of the weekend. The only thing that was missing was the smiling face and a sizzling speed of Jeremiah Jones. The Suzuki tent became a stopping in place for racers and fans alike offering their support and well wishes. 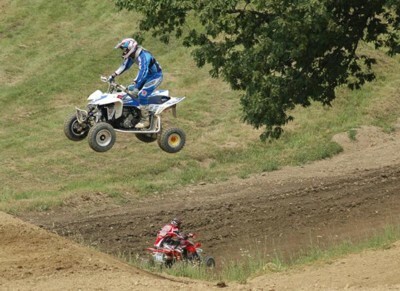 Loretta Lynn’s ATV Dirt Days of Summer is Hotter than Ever!!! Team Yoshimura Suzuki's Doug Gust Closes in on Top ATV Spot after Mill Creek. The Mill Creek Motocross Park was the stage for the 10th round of the GNC ATV National Championship. The temperature was 106º making the event the most grueling yet for the riders as well as the spectators. Team Yoshimura Suzuki, however, was as hot as the blistering Alabama sun pulling two first-place finishes and taking second and third position overall. 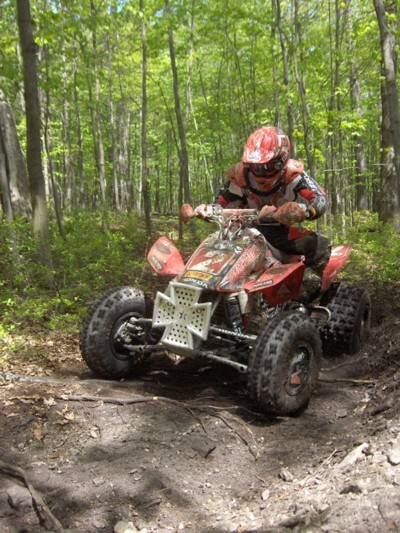 Chris Borich Takes Overall the rnd 4 Atlantic Grand Prix ATV series! Round 4 of the Atlantic Grand Prix (AGP) was held at the Warhorse in Dunmore, PA on this beautiful Memorial Day weekend. This Mountain Course is the home of the largest power sports dealer on the East Coast and one of the largest in North America. The course consists of mountain side trails, old cart roads, two creek crossings, and exciting off camber elevation changes. Yoshimura One, Two, Three in Memorial Day ATV Thriller! Muddy Creek was in perfect condition for this weekend's GNC event. Hot temperatures greeted the competitors, separating the men from the boys. Jeremiah Jones and Doug Gust dominated the event with 1-2 finishes in both motos aboard the blazing fast Suzuki QuadRacers R450. John Natalie, Jr. and Daryl Rath remain undefeated in WPSA PowerSports ATV Championship Tour competition, winning their Pro Class races during Sunday’s ITP Daniel Boone ATV Championship, Round 2 of this season’s Championship. The race was held at the Daniel Boone MX, and was part of a double championship weekend, which kicked off the 2006 season.